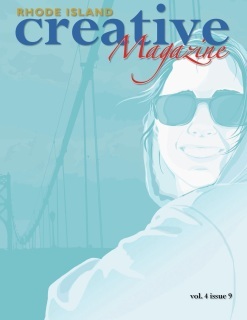 Rhode Island Creative Magazine is now available by Print On-Demand! You can now enjoy RICM on the go in digital or print! They are printed by our local printer, Minuteman Press of Johnston. 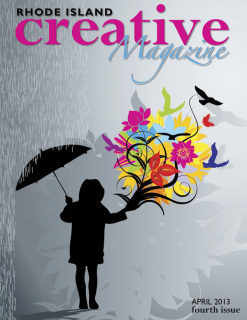 The printed magazines are available in a Premium finish, 80# (118 gsm) matte paper with a semi-gloss cover. Issues can be printed one copy at a time or in volume with a turnaround time of 7-10 business working days. Discounts available beginning at just 5 copies! Contact us for custom volume pricing. As we enter our second year of promoting creativity, I would like to first say thank you to all who have jumped on board and have helped build the success of this publication. It has been an amazing journey so far. I have met a lot of amazing people and along the way, many of them had said to me, “This is quite a large undertaking you are taking on, but if anyone was to do it, you are the one to do so and we are here to help you.” That was quite the compliment to receive and to know that I had the support from soo many was an incredible feeling. another stepping stone towards to bringing all the professionals around the state together, creating a movement, building awareness of the talent and education we have here in RI. With a lot of hard work, teamwork, and leadership, we as an industry can achieve this. I am here to lead this movement and help make a difference. Many of you have already joined me for this journey and I hope more of you will and help grow our team. 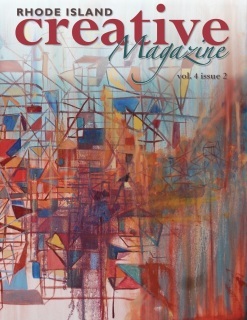 The December issue is filled with a variety of topics from many great artists and organizations in our community. Take the time to read and take in the informational articles they have put together for you. There are some really important tips we can all learn or refresh on from time to time. 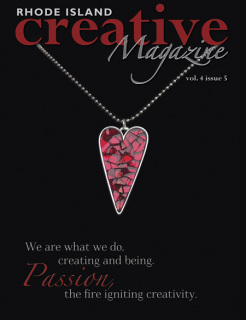 Also, enjoy the featured articles from The Artists’ Exchange, Alex and Ani and The Hive explaining what they are offering and providing for our creative community. 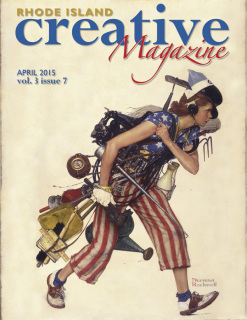 The April issue is filled with a variety of topics from many great artists and organizations in our community. Take the time to read the informational articles they have put together for you. There are some really important tips we can all learn or refresh on from time to time like organizing, redesigning and marketing for your business. 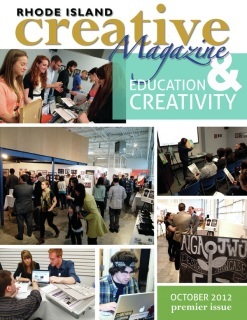 You can find those answers here in the RICM along with featured articles from IYRS School of Technology and Trades, SkillsUSA and The Museum of Art: Rhode Island School of Design. 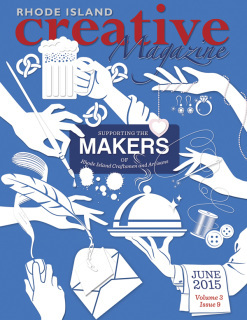 As we wrap up Volume 2 with not only a great issue but with also a great event, “The Makers Event,” that will bring the community of makers together in a historical location to focus on the value of craftsmanship. This will be an evening of inspiration and acknowledgement of what we have here locally in Rhode Island. It still amazes me what I come across when I am researching for unique or unknown talent in our state. 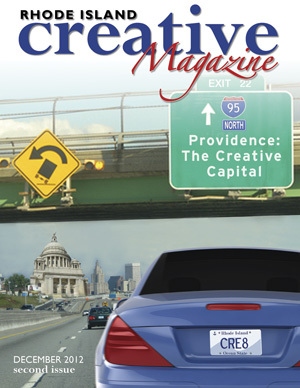 I will continue to strive and bring bigger and better things to the Rhode Island Creative Magazine and the creative community. Moving forward on the exciting path I have created, a few goals of mine have been achieved and a few more have been set. 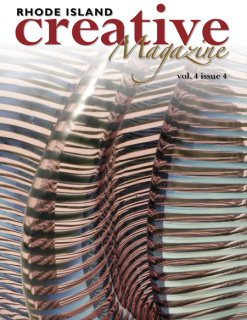 I look forward to another exciting volume filled with great local craftsmen and artisans and continue giving artists of all professions an opportunity to be seen. and all the educational highlights! 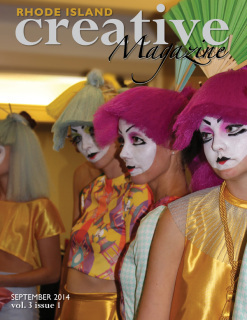 ​The September Issue was inspired by StyleWeek and the creative process it entails. “The Art of Beauty, Fashion and Style” has become the topic of this month’s issue. From designer dresses to make-up application, we have featured and written some great articles for you all to enjoy! Along with our beauty topics, we have our informative and inspiring articles such as “The Melo Project Runway for the Youth” and “Limitless Imagination.” Just two of our many articles written by our amazing contributors in the pages to come. 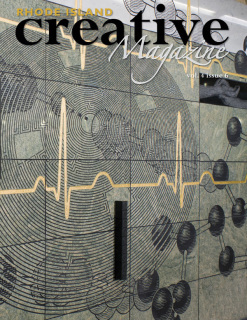 ​The October Issue was inspired by the amazing interior designers that I have met along the way in my career. The profession is challenging and involves more than what we could ever imagine! We have featured some unique designers like Morris Nathanson and Kristen Girouard, and their stories of success and contribution to our community. Along with our featured artists, we have fun and creative tips for all to try like how to spruce up your breakfast routine and your space. Informative articles like how “Texture Breathes Life Into a Room” and “Networking Know How” to learn and share. Just a few of our many articles written by our amazing contributors in the pages to come. 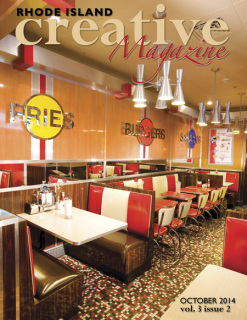 ​The November Issue is inspired by the amazing entertainers and venues we have here in RI! Music, Theatre and Dance is such a large part of our creative industry. It is important to me to showcase the many local talented artists and performers by sharing their inspiring stories! 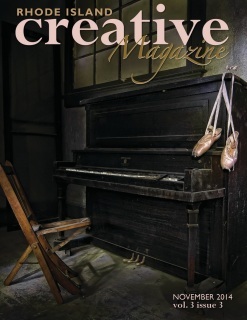 In this issue, we have featured a few local musicians and their unique styles, the art of dance and the great programs offered at our local community college and studios for all to get involved in. 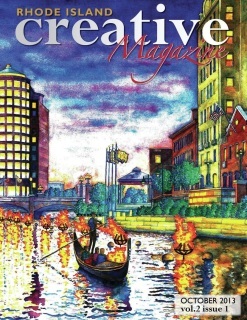 Along with our featured artists, we always provide informative articles such as “The Art of Speaking” and “Music Brand Currency.’” For local news we have a great article on Providence’s New Outdoor “Creative Mile” and the new gallery addition to the Vets Auditorium. Just a few of our many articles written by our amazing contributors in the pages to come. ​The December Issue was inspired by the “Shop Local and Shop Small” theme that we all support during the holiday season and everyday here at RICM! 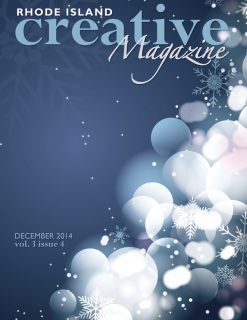 The creative gift issue allowed our local retailers an opportunity to showcase their craft and story. We have provided a nice variety of gift ideas and creative tips for all of you to explore. 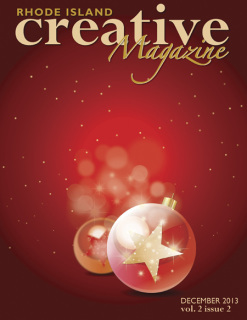 In this issue, we have featured a few local designers and their unique craft to showcase some great gift giving ideas. Along with our featured artists, we have provided handy tips to help you this holiday season such as making your own specialized gift for a loved one or even for your customers with Do-It-Yourself (DIY) projects. Learn how to wrap and decorate your gifts creatively and how to stay organized with your shopping schedule and gift list! 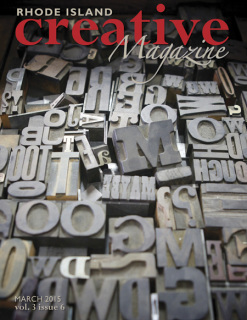 ​The March Issue that you are about to dive into was inspired by the industry that I have a deep passion for – print. With print – there is paper and ink. With paper and ink, there are endless opportunities! As an artist, that is what makes us more creative and to go beyond the four walls. 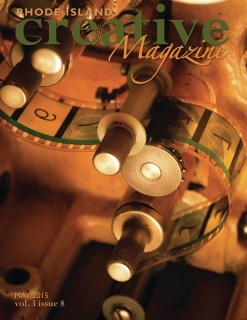 In this issue, we touch upon the three parts of the industry by sharing amazing content from all kinds of professionals in the business. It goes to show just how much creativity, knowledge and passion there is. Along with our featured businesses, we have provided great tips on paper specs, how to make new traditions, finding the ideal internship and how to attract more website traffic. ​For the May issue, I wanted to discuss a topic that is currently of great interest to most of our state’s businesses, and RICM as well. “Media Communications” has become a key factor in running a successful business today. It is the core of running a successful business. For some of us, it is our business and for others, it is a must-have to survive. 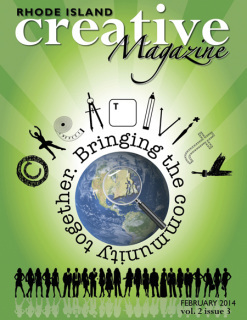 In this issue, we have displayed a variety of professions that rely upon a strong media communications practice. We have also featured other uses of media communication from the past and current times of film, video, print and publishing. 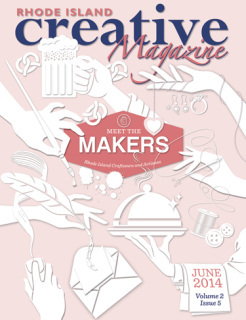 ​Rhode Island Creative Magazine is proud to celebrate makers everywhere and will continue to support the Makers Event annually, in collaboration with its “Inspirational Speaker Series,” to celebrate and highlight their passions. 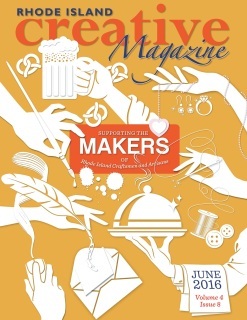 For the June issue, I wanted to educate and emphasize on what a “Maker” is and what it entails to be one. We have filled this issue with amazing insights on just that! ​As we wrap up Volume 3, Issue 10 of Rhode Island Creative Magazine, I wanted to do something fun with a last hint of summer for the August issue. 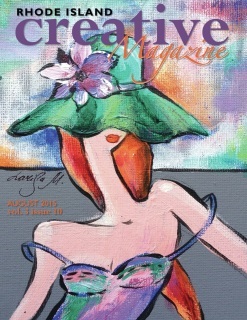 I am excited to talk about Wearable Art and to showcase some unique designers and their innovative pieces of work. 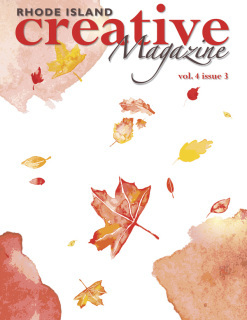 Published October 2015: In this issue, RICM continues to showcase a variety of topics, which encompass the very meaning of creative. 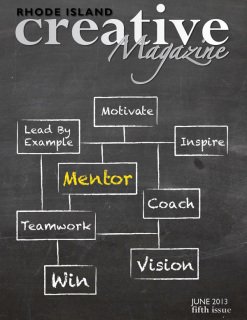 From music to manufacturing, from career planning to impressive artistic educators, these articles fully embrace the essence of what we are celebrating this and every month. 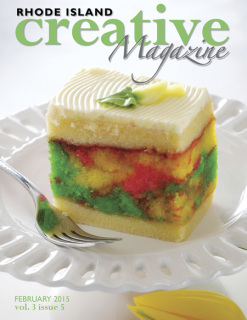 Published December 2015: In this issue, I have hand selected local retailers to help fulfill that creative gift idea that has the potential to become that special memorable and meaningful gift. Whether it’s jewelry, a glass sculpture, or a painting, it is the thought behind the gift that truly makes it personal. 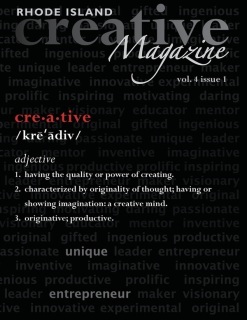 And, as always, we have included a variety of topics that encompass the very meaning of creative in their own ways. I hope you enjoy this month’s features and helpful tips that our team has prepared for you. Surround yourself this holiday season with family and friends. Create memories! From our family to yours, Happy Holidays! 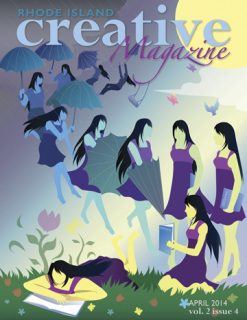 Published February 2016: Since February is the month of amour, Kim Celona, our very talented writer and prolific artist has written a great piece on the “Power of Love; Bonds We Live and Love By.” She has also composed the cover phrase for this issue, “We are what we do, creating and being. Passion, the fire igniting creativity.” Love is a bond; it’s a passion for whatever drives us. When you have that, you never want to let it go. This is how I feel about this magazine. People describe me as passionate, and I am —I love what I do. When you love what you do, it shows in your work and throughout your life. It shines through. And it keeps those creative juices flowing! Published March 2016: As the days get longer, the temperatures get warmer, and in turn, our calendars fill up and the days seem to fly by! Yes it is March, and finally, Spring is upon us! Here in Rhode Island, we all know that as we get more warm hours of daylight, we are eager to do more things, even though there are still only 24 hours in a day! 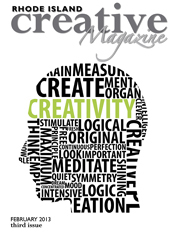 That is why we need to learn “Creative Ways to Find More Time in Your Day,” a little something that our contributor explains in this issue. Learn about that and much more inside... take a look! 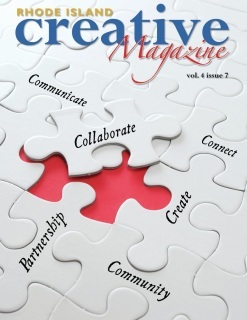 Published April 2016: Partnership, collaboration, and community are the buzzwords in this issue. As I continue to emphasize the importance of working together, I see growth among the circle of small businesses and organizations around me—including my own! Integrating the “C’s” of my longtime motto for a successful affiliation: Connect, Communicate, and Collaborate to Create. It’s a very effective way of doing business!